here is what i created for the mobile swap hosted by meg at elsie marley. it is the first mobile i have made but certainly not the last! i used this tutorial to make the fabric covered balls. how fabulous is this wood grain print from joel dewberry? LOVE it!! and here is the wonderful handmade mobile we received. the littles love it and it is hanging in the front room above their play kitchen. look at the sweet little blue bird in the yellow bird cage! swoon! all the ornaments are felted wool and there is a really cool wood propeller in the center to help it balance. our mobie was made by leslie from three birdies. thank you leslie, it makes us all very, very happy! for more mobile inspiration check out the flickr group. i am on my way to add my photos now. introducing the seasonal celebrations swap! 2. your family's tradition to welcome spring- this can be as simple as a spring poem or a springtime craft. or maybe it is a cultural tradition that you would like to share. you could also include photos of your tradition in action or the supplies needed to create your springtime craft. sign up until sunday march 1st, and then i will send an e-mail with your recipient's name the following evening. swap packages should be ready and shipped by saturday march 20th, the first day of spring! that will give us nearly 3 weeks to work on this project. 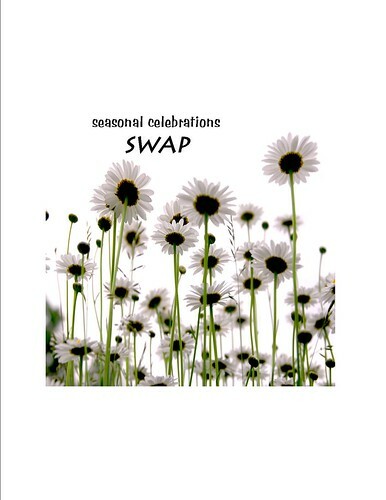 please feel free to go above and beyond when creating your swap partner's package, but do not skimp- we want everyone to be thrilled when they receive their seasonal celebrations swap package! there is also a new seasonal celebrations swap flickr group where we can discuss the swap and share photos, so be sure to go join! the fabulous thing about this swap is that there will be a brand new one with each new season! yours in looking forward to a wonderful new season and a equally wonderful swap! hand knit, with love, please just wear it!! i bribed esme' with a small bag of chocolate chips to get her to wear a pair of leg warmers to school today. leg warmers that i knit for her. anyway, the chocolate worked and she kept them on all day long and i am not above using bribery again in the future. and here is the hat that i knit for my hubby- i promised him a skull hat all winter but there were too many other projects to complete and his hat was continuously bumped by another hand knit. a wool diaper cover for harper, mittens for esme', sweaters for dolls, and of course there were the several hats that i managed to knit for myself this season. but, at last, i knit him a hat and i think we may even have a couple more weeks of cold-ish weather ahead. he loves it and has been wearing it constantly... and this time the bribery is completely optional! it was riley's day at our local pizzeria. on your day you get to wear a fantastically fun hat and make your own pizza, anyway you like it. i had to stay home with sick little ones so tony took the big kids for some pie making. riley was really bummed that the other riley that was there making pizza grabbed up the hot dog hat. but i think the pink fuzzy hat suited him just fine. they all had a blast- riley making pizza, niko taking a million photos of him making pizza, and tony drinking a local brew while the kids made pizza and photographed pizza making. and here is riley's very own, super custom pie... cheese and pepperoni. stick with what you know, i guess! okay, it dawned on me while folding laundry this morning that i wear the same colors nearly every day. bleh, how did that happen?! this has to stop. so what other colors look good on a pale redhead? help a mama out... please! valentine's day is a wonderful excuse to make handmade cards and gifts for all your loved ones, right? and that is exactly what we have been doing. esme' had a little party at school today- you know the one- white paper bags decorated with doilies and glitter, little cards adorned with the coolest new disney movie/pop star/cartoon character, and gobs and gobs of sugar-y treats to fuel the excitement. next we peeled the crayons. to make this a little easier i carefully scored the paper from top to bottom with an exacto knife (emphasis on careful!!) then the wrapper just peels right off. then we broke the peeled crayons into tiny pieces and put them into our mold. i had a cool little heart shaped silicone mold that i picked up in the dollar section at target a couple years ago. muffin tins or soap molds work great. or little paper cupcake liners. here they are, ready to go into the oven. you want them to all melt at the same rate so put the same amount of crayon pieces in each mold. place your molds on a baking sheet and pop them into a 275 degree oven. this is what they look like right out of the oven. keep a close eye on them and take them out just as soon as they are all soft and there are no more chunks of crayon left. ours took about 12-15 minutes. leave them alone until they cool and become solid again. you can see one little piece of blue crayon in one of them- on the right in the bottom row. it probably should have stayed in the oven for a minute or two longer. and here are all of our recycled crayon scribble cookies! we had one metallic gold crayon and it gave some of them a gold leaf look. they were our favorite! we paired the scribble cookies with some little printable color cards from little brown pen. 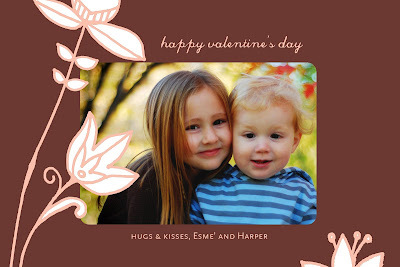 they turned out very cute although i think esme' was thinking about that name stamp once again when it was time to address all of the cards. esme' came home after school with her white bag full of tiny cards, suckers and chocolates. she told me that she reminded all the kids not to eat their crayons. i am sure they all appreciated that! so there- now go make your own batch of scribble cookies! * i think beeswax crayons would work well too, but we did not have any to use this time. 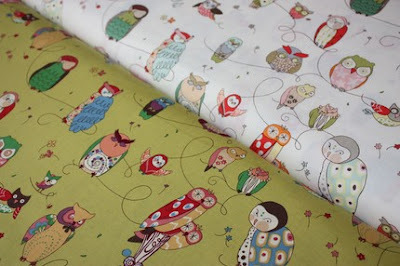 if you try these with beeswax crayons please let me know how they turn out! my girlfriends and i went to see he's just not that into you last night. it was really cute. and after all the runny noses, fevers and late night coughing attacks around here i was in desperate need of a couple hours out of the house. i loved the soundtrack. i think i will buy it... soon! but you're not here to read about my night out with girls... you are here to see who won the blog makeover by summer GiVeAwAy, right? congratulations amybel from knitting in my backyard! i can't wait to see your spiffed up blog! thank you to everyone who entered- please keep summer in mind if you need a new look for your blog- her prices rock! so what do you think? creepy? would you sew it for your small child? have you sewn it for your child? please leave me a link so i can come see what you have created! :: after 4 days of gorgeous Spring like weather, we got snow today. :: esme' asked me for a name stamp this morning so she won't have to write her name on her papers at school anymore. :: harper yells back at the tea kettle. i get boiling water whistle in stereo! :: i knit a little pair of wool shorts for harper with a cute cabled owl pattern on the bum. the owl chart came from a hat pattern which was knit from the bottom up. since the shorts are knit from the top down it makes sense to reverse the owl pattern, right? wrong. the owlies are up side down. at least i have until may to fix them. :: and, some random cuteness- check out my baby wearing sweetie! HTML? CSS? banners, buttons, headers? um yeah, total computer greek to me! 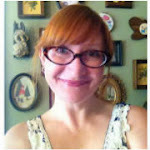 that is why i was thrilled when i met summer, a stay at home, blogging mama who also offers custom blog design services. she is responsible for that cheery Spring flower header at the top of the page, as well as my cute little buttons over there in the sidebar. and remember my cute christmas header? the process was simple- i chose images, fonts and told her what i'd like them to say and within a few days she sent me my new adorable headers and buttons. easy peasy! she was also very helpful when it came to installing my new swag. because, as i mentioned before, i am kind of challenged in that department. and now summer has very generously offered to give one lucky reader a complete blog makeover! one of you will win a platinum package blog design with all the bells and whistles, valued at $100. pretty darned exciting, right?! in order to win this fabulous package swing by summer's design blog then come back and let me know what your favorite design from her portfolio is. i would also love to hear how you would gussy up your blog if you were to win. would it be sweet and simple? saturated in color? sophisticated or whimsical? i want to hear all about it! so there you go, 5 ways to enter- 5 ways to win! please leave me a comment for each entry! i will chose a winner via random number generator on wednesday, february 11th. good luck~ i hope you win! *comments closed~ i will post with a winner soon! this post was originally published last january. it may have been the last time esme' climbed into our bed in the small hours of the morning. she doesn't do it anymore- ever. i am so grateful that i blogged about it and found it this morning. i needed this sweet memory today! be sure to stop by for a visit tomorrow morning- i have a fabulous giveaway planned for you! this is my new favorite hat. it seems that i have a new favorite hat every few weeks, right? but i LoVe hats, and i especially LoVe this one! it is the side slip cloche from boutique knits. the yarn is berroco inca gold purchased at the best little fiber shop ever! i was wearing another little handknit in this photo but i couldn't get a decent pic of it. i will try again tomorrow because it is cute! i also played with my spinning wheel this week and produced a lovely 4 ounce skein of thick and thin wool. thick and thin meaning my spinning was a little inconsistent resulting in this yarn that is over spun in some spots and under spun in others... something that will surely be impossible to recreate down the road when i decide to purposely spin thick and thin... but i digress. esme' has decided it should be knit up into something lovely for her. hmmm, a favorite hat, perhaps? next in line for the spinning wheel- hand painted roving from painted moth. YuM!